Feel-good music for ALL ages! Playing some of the all-time greats, The RockPhiles deliver an infectious, energetic groove guaranteed to have you singing and dancing up a storm! Our repertoire is loaded with classics, new and old--from Mumford and Sons, the Doobies, the Eagles, Dire Straits, and the Stones, to the 'Hip, Blue Rodeo, Springsteen, the Proclaimers, and the Beatles...and everything in between! Audiences of all ages often comment on the unique mix of our song selection. 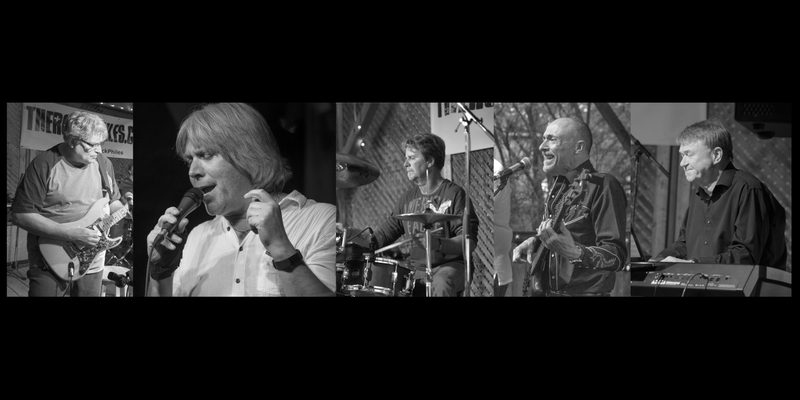 Whatever the occasion, The RockPhiles deliver big sound, from a professional, fun-loving, and experienced 5-piece band. Whether you request a special song, or have special set-up needs, The RockPhiles will always go above and beyond--to take your party over the top. Check out some of our tunes using the MP3 player at the bottom of this page. Browse the rest of the site for photos, comments, concert dates, and other fun stuff. And if you like what you see (and hear), book us for your next gig! Margaritaville with Greg Kelly, Dan Mignault, Rick Prest...and Special Guest...the lost shaker of salt! 8,980 views since Tuesday, 17 September 2013.